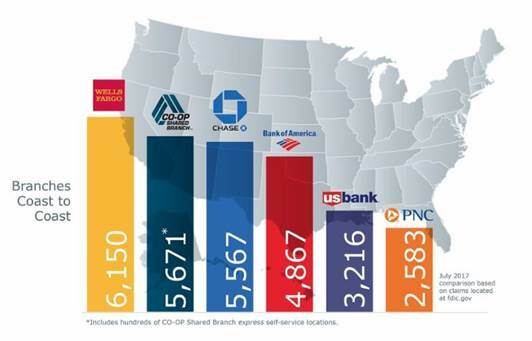 Last week the CO-OP Financial Services announced that the CO-OP Shared Branch network passed Chase Bank in terms of the number of branch offices, making the Credit Union Cooperative the 2nd largest network of financial institution branches in the country. In total, the CO-OP Shared Branch network now boasts 5,671 physical locations. As a member of HUECU, you may be wondering what this number means to you. 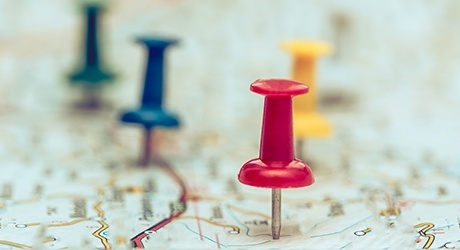 Since HUECU belongs to the CO-OP Shared Branch Network, you are able to enter a branch and access your account at any of these 5,671 locations just like you would at any HUECU branch. In the announcement released by the CO-OP Financial Services, Todd Clark, president/CEO described what the growth in shared branching means in the following quote, "shared branching is to credit union members what Uber is to passengers looking for a nearby ride.” The CO-OP Shared Branch network is one of the great benefits of credit union membership which gives you access to a nearby branch wherever you are in the country. Check out HUECU’s shared branching web page for more information, or download the CO-OP Shared Branch Locator app to find a shared branching location near you.